I really don't understand why DCunltd's official product page of Warcraft Action Figures isn't up to date with all the images of the figures they're trying to sell. It's like they're not even trying to show us the damn figures! Like some twisted marketing plan to kill us all with curiosity or excitement, and it's not like we can't find the images on retailer sites like Amazon. It's really frustrating that they want us to work extra hard just to get a look at the upcoming figures. Anyways, I've got Hi-Res images of both Warcraft Premium Series 4 Figures after the break since DCunltd's making us look all over the interwebs just for a decent look of the Moonkin and Headless Horseman Figures. Hi-Res images are available for viewing when you click the thumbnails. WOW! The Moonkin has some awesome detailed!!! The headless horseman doesn't look headless hahaha. And I bet her got his name from the Sleepy Hollow film. :))He's also a bit cartoonish compared to the more detailed premium series figures. He actually looks like something from a disney movie or maybe kingdom hearts or something. The addition of the pumpkin monster also tells me this will probably be a little small compared to the others. The dancing moonkin looks awesome on the other hand. So cute and colorful, which makes it unique from the other figures. @JohnnyQ - Yeah the headless guy's probably the most cartoonish of all the figures to date. 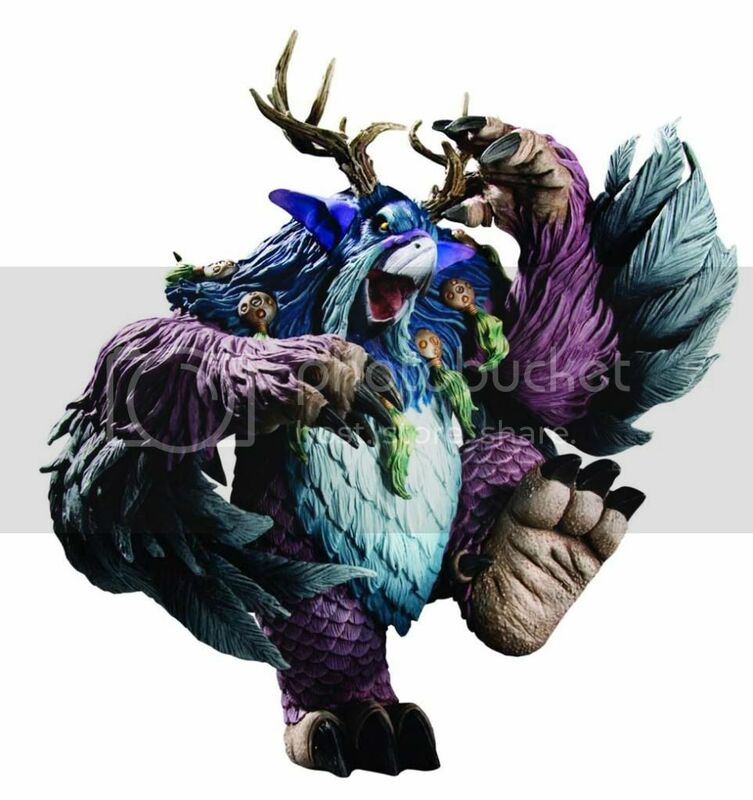 Can't wait to get my hands on the Moonkin figure! Yeah it is pretty cartoonish but it still looks cool. I like the pumpkin head. I think that Korg Highmountain is one of the most detailed. check out photos on http://www.wix.com/kdavidterry/wow-figure-collection. Does anyone know what the deal with series 8 is? The site said they were due out June 10, but I can't seem to find them anywhere. I have actually seen a shop in gh which have them already. anyone bought garrosh hellscream?? seems not many bought him and i was wondering if he was a good buy..
i hope a new review comes out already. I bought Garrosh and he is by and far one of my favourites. The detail on him is amazing. It was actually that wave of figures that got me back into collecting these. Is Series 8 now available locally? Warcraft figures are on sale up to 30%-50%off at Datablitz. Dont know if its just this Christmas though. Nah, I'll just wait for it on Datablitz since its cheaper there. Series 8 is out in Canada. I bought the Black Knight this week and he is amazing. 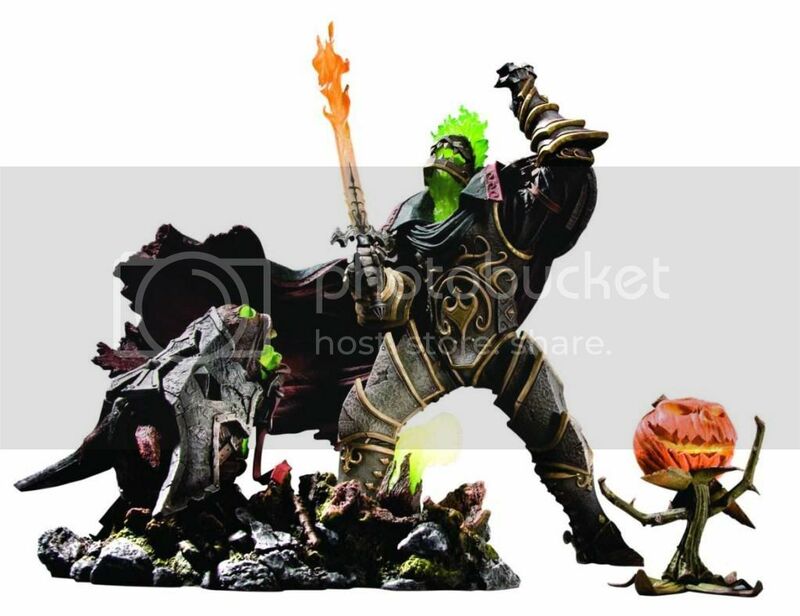 This is the final wave in the legendary WoW collectible line by DC Direct. Complete your collection before they are gone forever! This is the final Premium wave in the legendary WoW collectible line by DC Direct. Complete your collection before they are gone forever! i just dont know if they will still release a final deluxe figure. anyone know? Wow that is super disappointing. The figures just started to get really good. indeed. i hope they start a new line..
series 8 is out at datablitz. the figures are quite disappointing. 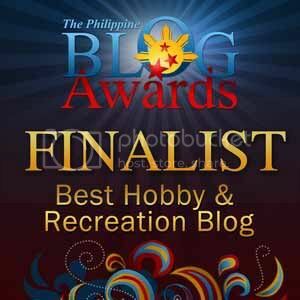 layo sa pics.. I got the Black Knight and kinda disappointed also in this series. If they made him a little bit bigger and change the angle of the face like the one in the pic in the package then it would have been better. A little bit off-topic but are Starcraft 2 figures available in Datablitz? 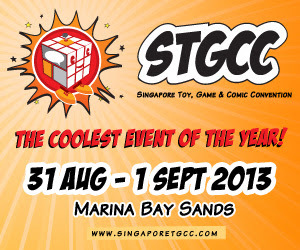 I want to get the Zeratul figure. havent seen any sc figures in db. and the series 8 is really disappointing. i was gonna buy the black knight but when i saw how far it was from the picture(eyes dont have the glowing effect, mouth to neck paint kinda plain, and definitely the angle of the head) i decided not to.. what a way to end the figure line..
Is there going to be any more reviews? There are 7 figures out now with nothing up here. Do you have the premium series 4 already? Did they release it here in the Philippines? Hi, do you know where I can still get the Premium Series 4 set here in Manila? Thanks! hello!! do you have any idea where i can buy this one? and the pandren?